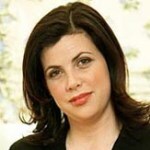 Kirsty Allsop is one of Britian’s most familiar faces – a television presenter and speaker specialising in property shows, as well as home-made arts and crafts. Kirsty has worked with Channel 4 since 2000, as a presenter on Location, Location Location as well as spin-off Relocation, Relocation and a variety of other property and crafts shows spanning 15 years. Kirsty’s successful TV partnership with co-host Phil Spencer also saw the two collaborate on their book How to Buy a House, a house-hunting app and two solo crafts books. Kirsty Allsop presented in partnership with JLA.